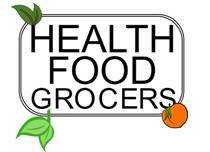 Health Food Grocers is an online store of natural and healthy food and beverages. The online store features a wide variety of natural food that come in many preferences such as gluten, dairy and yeast free. Featuring an array of quality food and beverages of many quality brands, Health Food Grocers is a one place destination for healthy, plant based food products. For more information on our products, visit http://www.healthfoodgrocers.com/ & http://www.healthfoodgrocers.com/food-and-beverage/.